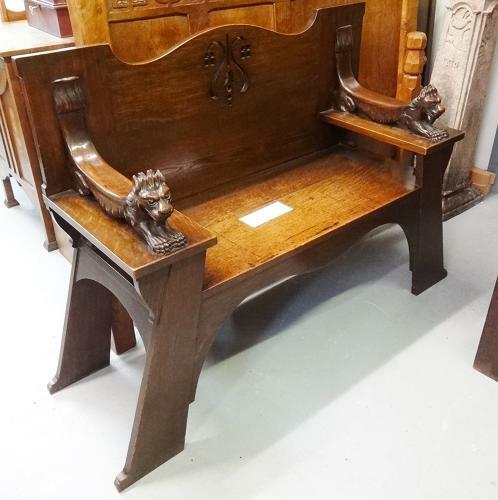 A compact well proportioned Arts & Crafts oak hall or window seat/Lion settle by Wylie & Lochhead of Glasgow c1901. Superbly carved recumbant lions (with presence!) to each end. Illustrated in their old furniture catalogues.